Aidan O’Brien’s Magic Wand is 11/8 Irish Oaks odds market leader and looks a far better bet at the current prices than William Haggas’ Sea Of Class, 2/1 second favourite. Both fillies have come in for support for the Classic during the course of the week, but have very different profiles. Magic Wand (pictured above) is the one with proven Group 1 form over 1m4f for a trainer seeking to land the Irish Oaks odds for a record-equaling sixth time. Her place in the Ballydoyle pecking order has been rubber stamped by Ryan Moore, who has chosen her over competing stablemates in her last three races. Magic Wand’s predilection for good ground or better was seemingly confirmed when winning the Ribblesdale Stakes at Royal Ascot (good to firm – the same is expected at the Curragh), meaning she’s won both her races on going better than soft. 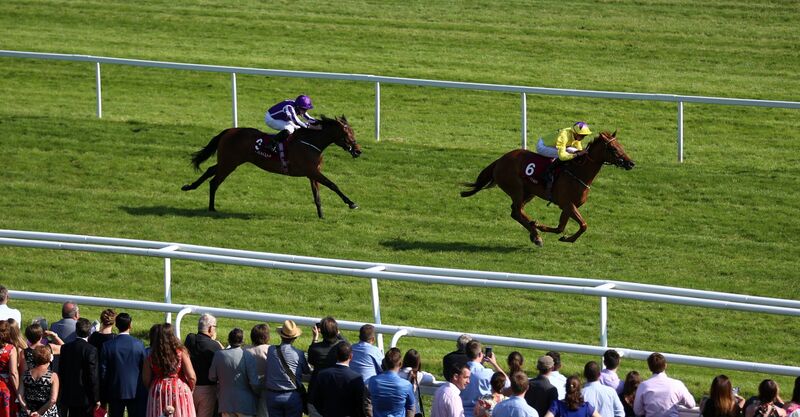 That victory also reversed the (soft ground) English Oaks form with Wild Illusion in no uncertain terms, putting a filly three-and-three-quarter lengths her superior at Epsom in her place by four lengths in Berkshire. Conversely Haggas’ filly has a sea of class in terms of form to overcome if she is to prevail in Ireland, with listed competition the highest level she has excelled at in her short career to date. She also has the Irish Sea to overcome, having never traveled outside mainland Britain to race before. Unraced as a juvenile, the two 1m2f listed wins Sea Of Class has registered this term have seen her account for two of Magic Wand’s 2018 victims, Princess Yaiza by two-and-three quarter lengths and Athena by 2l. The former had been beaten four lengths by Aidan O’Brien’s Irish Oaks odds favourite in the Cheshire Oaks, while the latter was eight behind her in the Ribblesdale. A late-foaled daughter of Sea The Stars and a Hernando mare, Haggas’ filly could well improve into a Group 1 type that stays 1m4f, but she would need to be a bit longer in the betting than 2/1 to Magic Wand’s 11/8 to be a pick in this race.